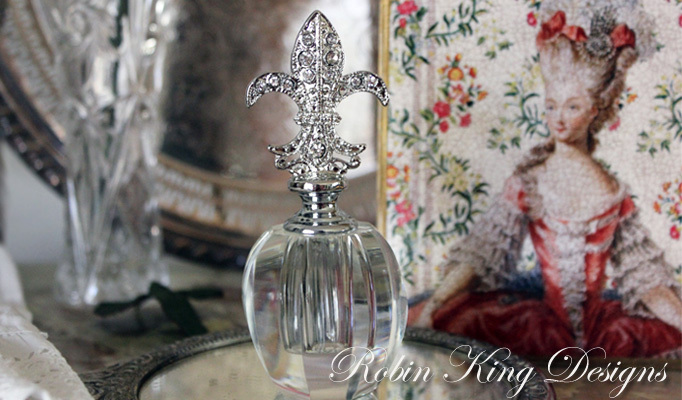 Add a little sparkle with this Fleur de Lis glass perfume bottle. It's the prefect French accent for your dresser or vanity. 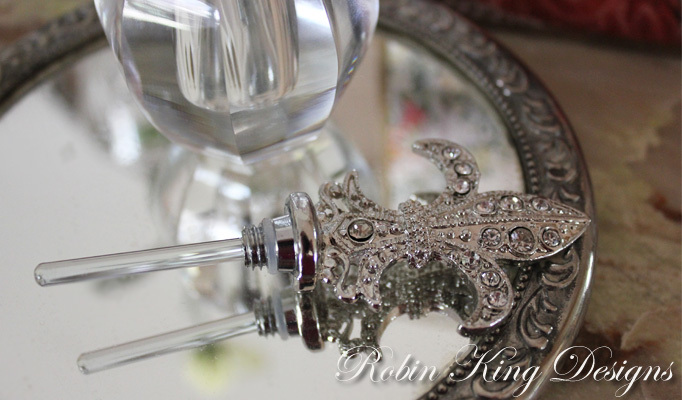 Fill the 4.5 inch bottle with your favorite French perfume apply with the glass dauber.